Gone are the days of a boring brown-paper-bag lunch! 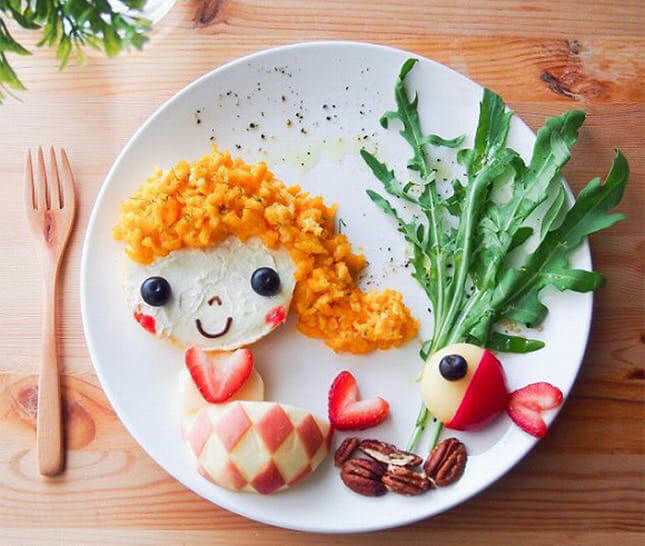 These parents got super creative and made whimsical masterpieces all for their kids’ lunchtime enjoyment. 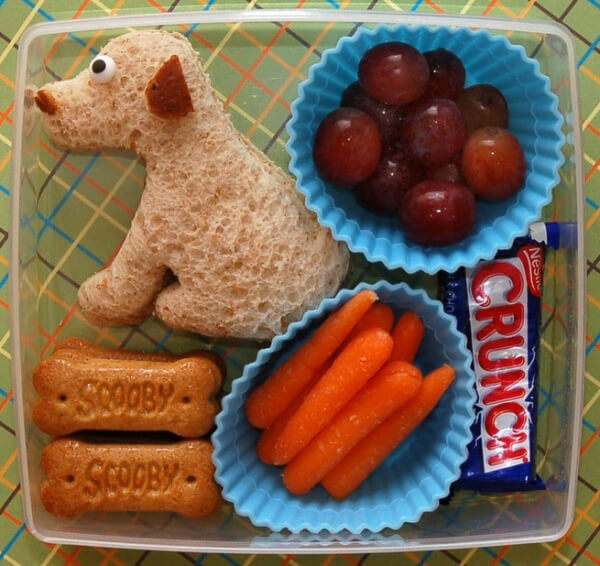 Made entirely of food and imagination, these lunches might inspire you the next time you’re making your kid’s lunch! Just wait until you see what Dad can do! These hedgehogs made by E-obento are too cute! 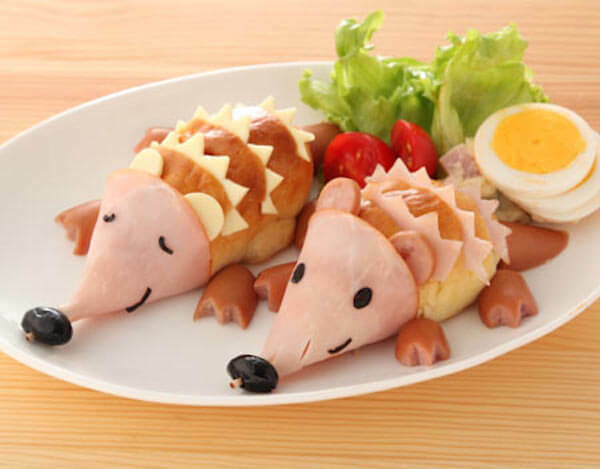 It looks like this creative person fashioned ham and cheese to make the hedgehog spikes and their long snouts with an olive for a nose! For the feet, they cut a spiked pattern into some hot dogs. Better get a bite before they crawl away! Samantha Lee is a mom whose bento-making talents have been wowing the masses. Check out this mermaid scene she made! Health is certainly not out of the question with this lunch that has arugula, apples, pecans, blueberries, and strawberries. Lee’s bentos are unique because everything you see is edible. You’ll see more of her work later. 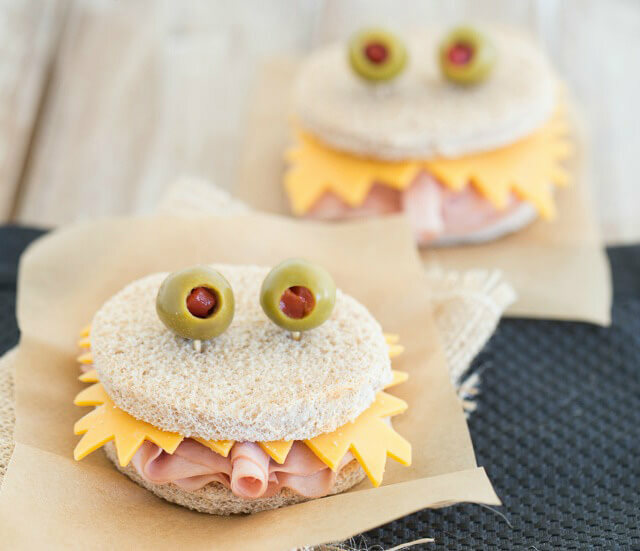 These monster sandwiches are the perfect to pack in your children’s lunch for the Halloween season. Land O’ Moms says it’s easy to achieve these with turkey, ham, cheese and a round cookie cutter. Kids will be screaming with delight when they come home and tell you what a delicious lunch they had. Keep reading to see what iconic game got turned into bento! Wendy Copley of Wendolina made this extremely healthy bento of fruits and cheese. 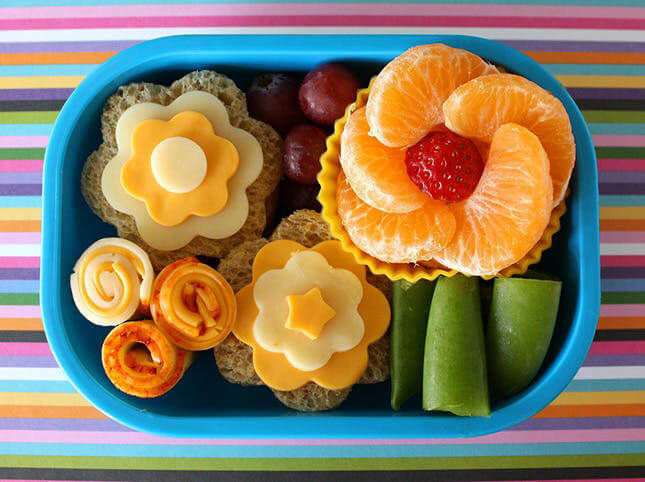 She tells Alpha Mom that the key to making any bento delightful for picky eaters is to make everything look cute, which you can achieve by simply arranging the food in your bento in an orderly fashion. 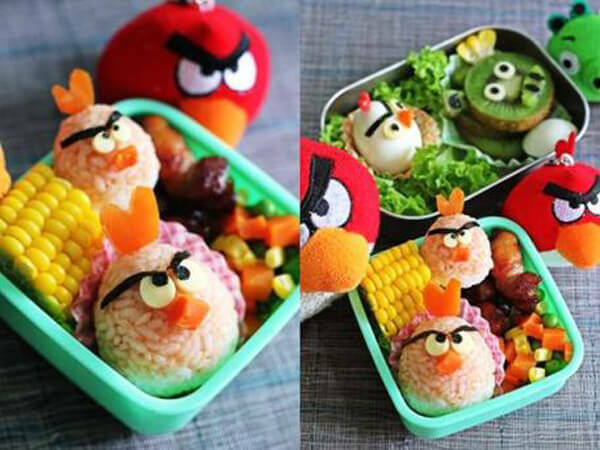 Ellena Guan shared this Angry Birds bento with Hungry Go Where. The main course features teriyaki chicken and rice, which she colored red using tomato sauce. She complemented the cute lunch with some sweet corn. We’re sure her child wasn’t upset at all when they opened this! Jill Dubien shared this recipe for an open-faced BLT with Canadian Family. While she used one less slice of bread than you would normally use for a BLT, she did add one extra special ingredient. 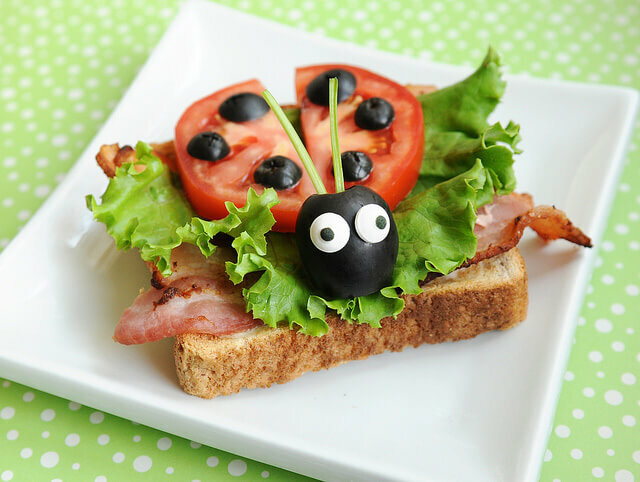 Olives make up the ladybug’s black spots and head for this buzz-worthy lunch! Wake Up With A Roar! Lunch isn’t the only meal of the day where you can get creative. Why not try breakfast, too? 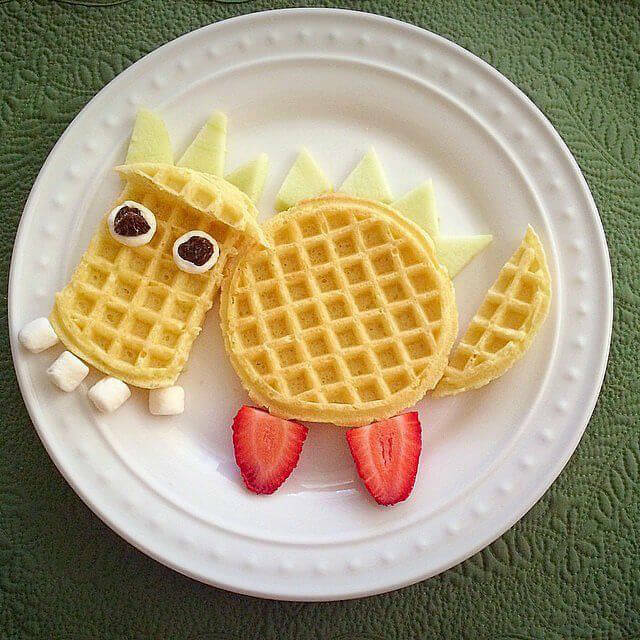 Wake your kids up with this adorable dinosaur waffle. The best part is that most of your decorations will be sweet! This person only needed strawberries, apples, raisins, and marshmallows. 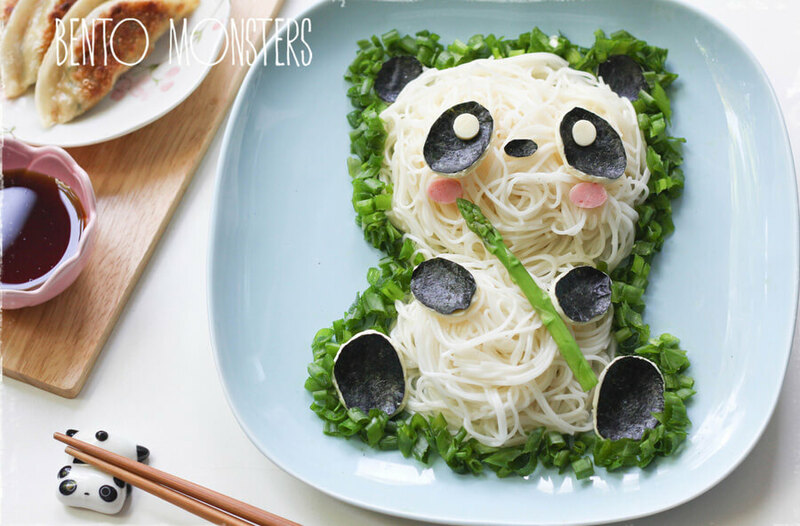 Stay-at-home mom Li Ming is the creator of Bento Monsters, a site dedicated to the artistic and creative lunches she makes for her two boys. 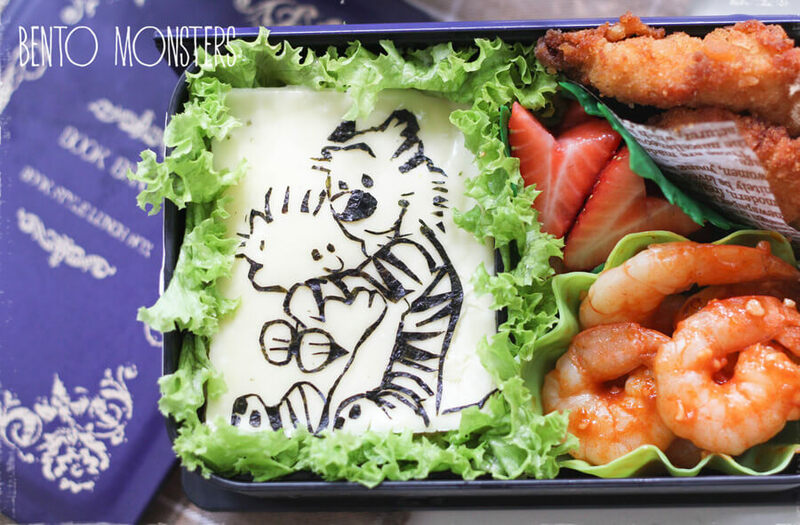 Bento in Japanese culture is a home-packed meal and Li has taken the principle to a whole new level, making one-of-a-kind lunches in the shapes of animals and cartoons. “I started making charabens [character bento] when [my eldest] went to primary school in 2011. He missed me terribly then and had problems adjusting to the longer hours at primary school. I started packing him charabens, along with lunch notes, hoping to cheer him up and let him feel my presence and love through them,” Li writes on her site. Li has become a master at making her kids’ meals a feast for the eyes. 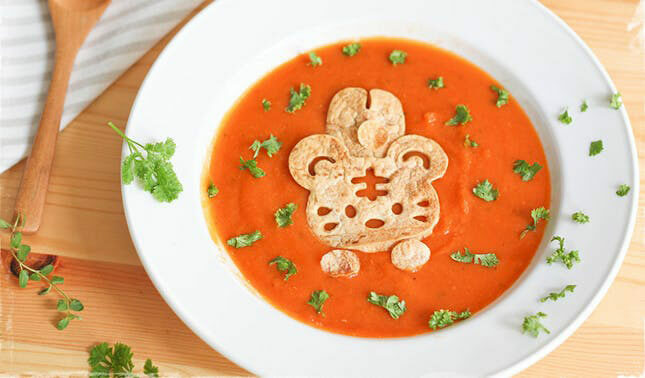 She dressed up this tomato soup by taking a cookie cutter to a sandwich wrap. This could be a clever way to get kids to eat something that they wouldn’t normally try on their own. Soon you’ll see how a dad takes his lunches up a notch! 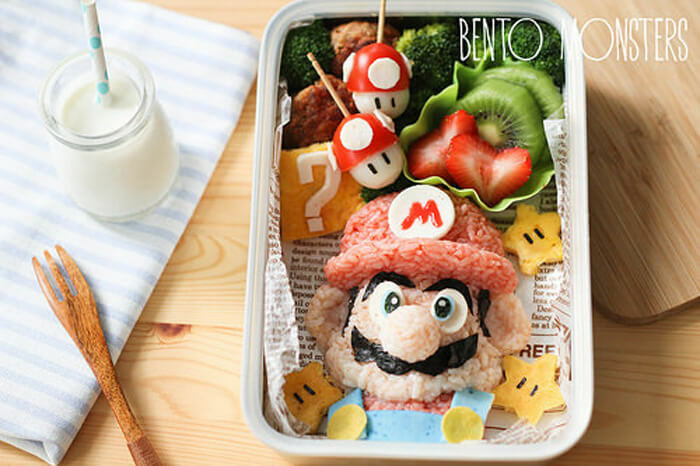 For this Super Mario bento, Li colored the rice using other foods like tomato sauce. Mario’s details are made with nori (seaweed), ham, and egg. While Li admits to using a bit of blue food coloring on the ham, she writes that she asked her son not to eat it. You Can Even Take The Concept To Snack Time! 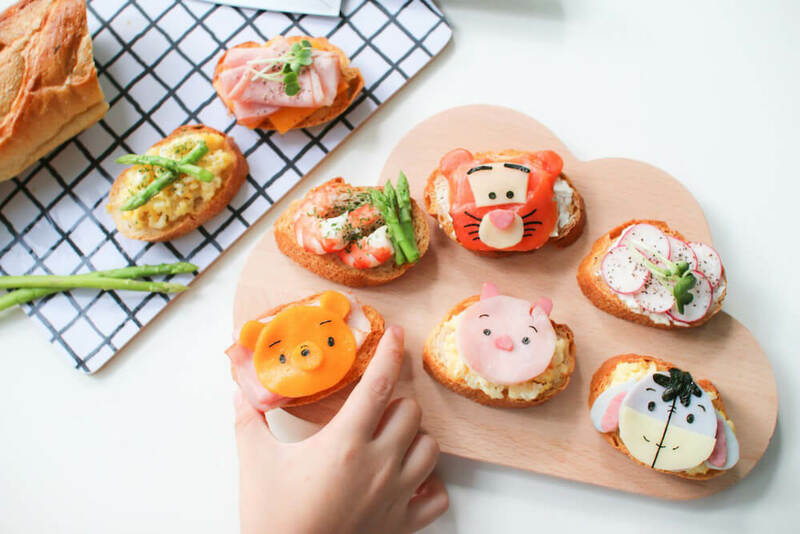 Given her talents, Li can also make delightful snacks that would be perfect for after school Winnie the Pooh and his pals adorn these baguette slices, which Li dressed with all sorts of different toppings. To create the characters, Li used cheese, ham, and even salmon. Step aside Mom, Dad’s here to give you a run for your money! Beau Coffron is the creator of Lunchbox Dad, where he, too, makes masterpieces out of the lunches he sends his kids to school with. 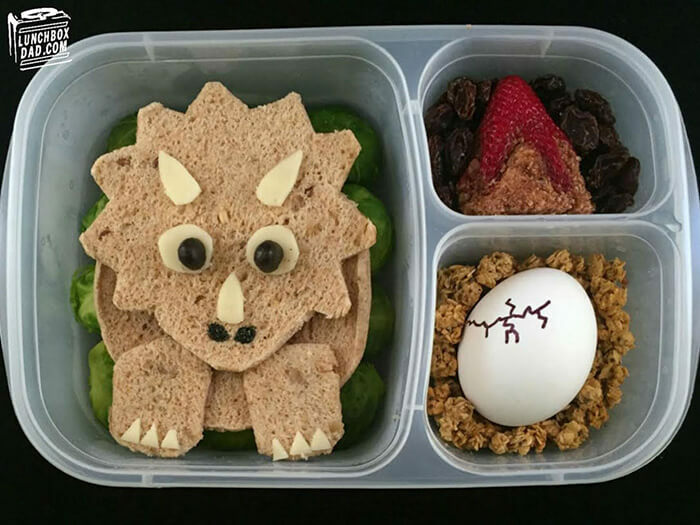 Check out this triceratops bento he made for his daughter! It’s complete with a strawberry volcano and a cracking dinosaur egg (which, of course, is just a hard-boiled egg). Wait until you see the work of art so big it needed its own plate! Coffron doesn’t shy away from cartoon characters either. He fashioned Pinkie of My Little Pony primarily out of cream cheese. Making these lunches give Coffron a way to connect with his daughter. 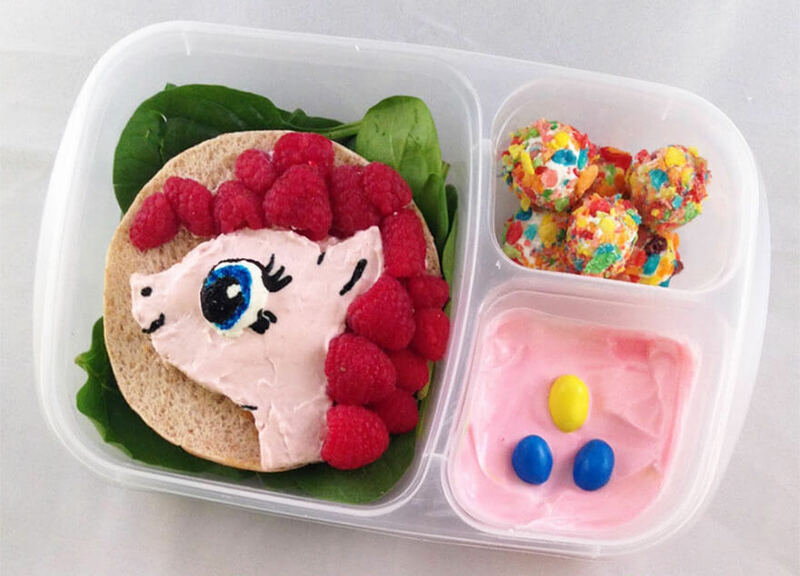 “I love doing character lunches for my daughter and creating Pinkie Pie has been a goal ever since I did my Rainbow Dash mashup at the beginning of the year. I hope my daughter loves it, because it was fun to make for her!” he writes. 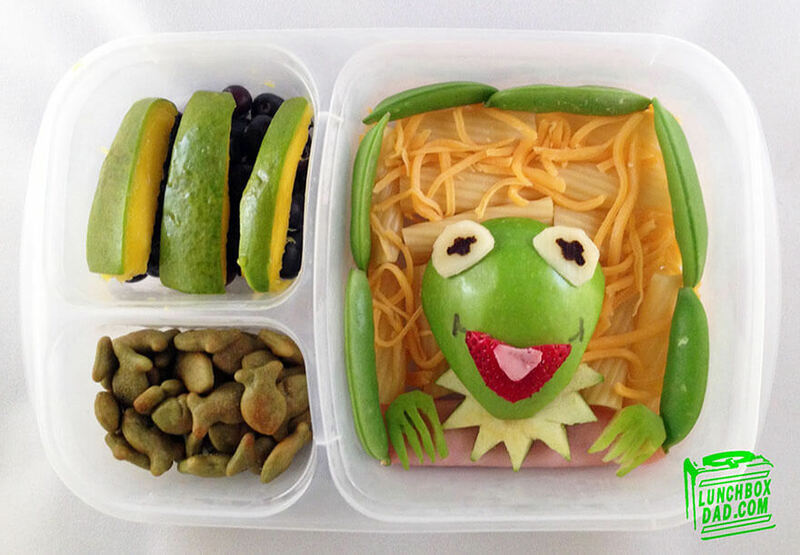 “I thought I’d bring a classic into my daughter’s life,” Coffron writes when showing his followers this Kermit the Frog bento. An apple-headed Kermit sits on a bed of cheese and pasta. Coffron followed this theme by adding a side of mangoes and green-colored Goldfish crackers. 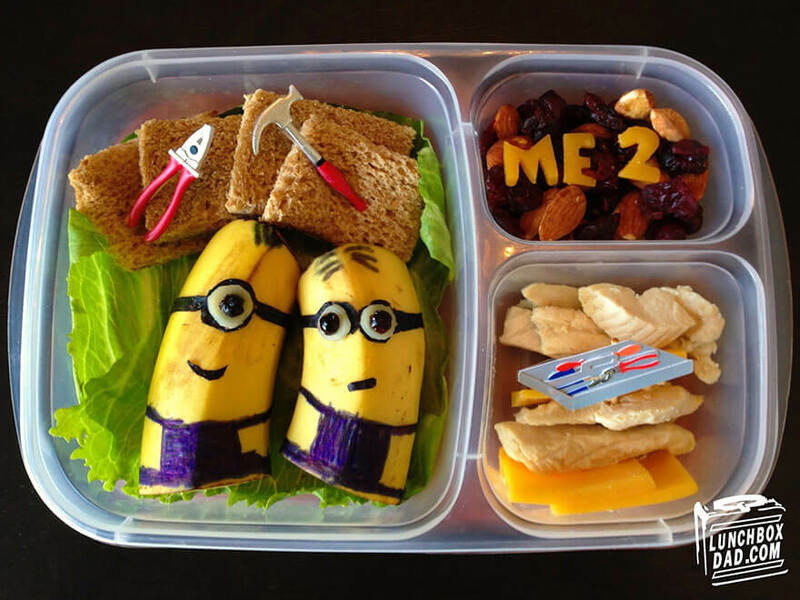 Children love the minions from Despicable Me, so imagine the delight on Coffron’s daughter’s face when she saw this adorable lunch! Coffron used two halves of a banana that he decorated as minions. He also packed her chicken, cheese, wheat bread, and some trail mix. Soon you’ll see that you can even create human characters from food! Pikachu! 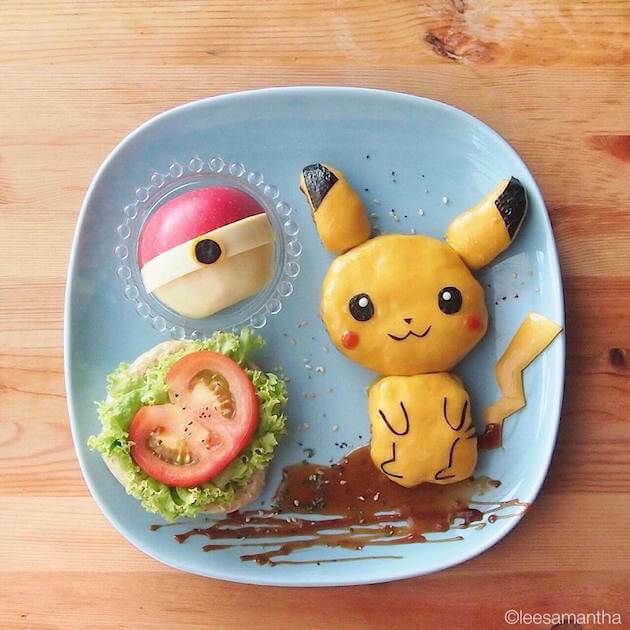 I Choose You… For Lunch Today! Samantha Lee has amassed nearly 700,000 followers on Instagram. She says that she started making bento lunches in an effort to get her children to eat nutritiously. She fancies herself a Food Artist and with these next lunches, you’re about to see why. 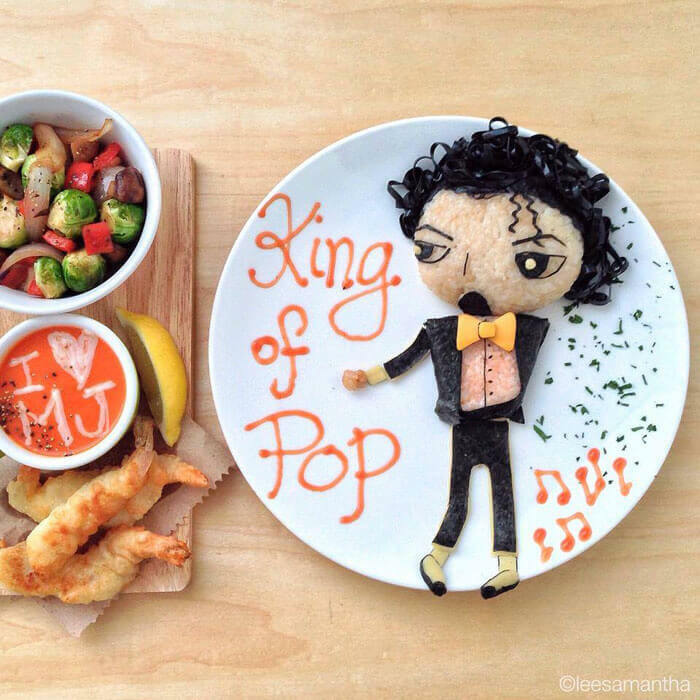 This edible portrait of Michael Jackson is amazing! If we had to guess (as Lee doesn’t usually post descriptions with her pictures), we’d say that she made this out of rice, nori, ham, and cheese. MJ is a huge pop culture icon, which is probably why he got his own entire plate here. It Was Pretty Brave To Use Pasta This Way! Bento-making parents know that there are tons of pasta-bilities when it comes to making lunch fun. 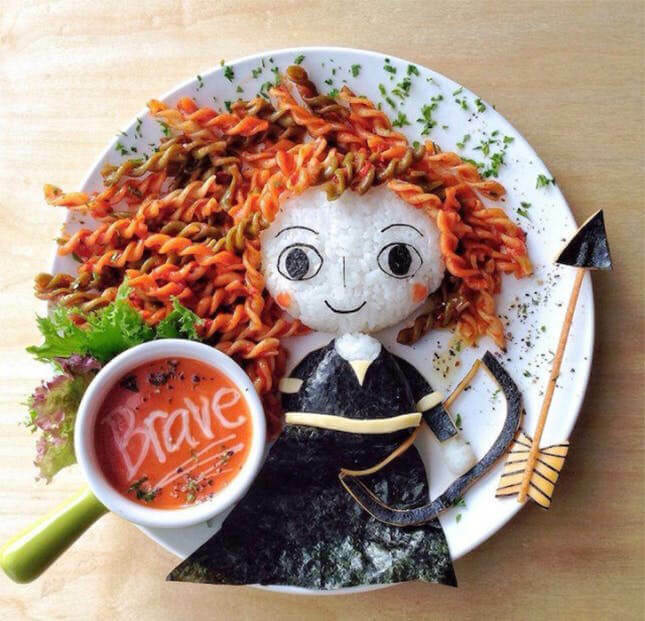 Puns aside, Lee used pasta to create the wild red hair of Merida from Brave and we have to say, she captured the hair quite well! Lee even made a bow and arrow to go with the character! This lunch looks like it was made with love. Although not as ‘out there’ as the previous bentos, this would still delight any child who took it out of their lunch box. It looks like this mom let her kid have an extra special treat with the Crunch bar.